One does not make mitzvot into bundles. But I've seen lots of people do just that: They put the four species into a bundle. The issue is making a Mitzva into a bundle, not putting the Mitzvah into a bundle. You can't say that since the bundle is made from Lulav leaves. So we quite literally made a Mitzvah into a bundle. 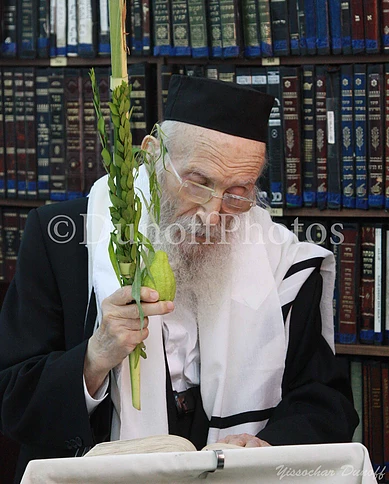 Oh, and there are some who only make a bundle out of the Lulav, without even making a basket. That should definitely be an issue. So, taking just one mitzvah, like the lulav, and making it into a bundle is perfectly fine. If you were to take your whole lulav-bundle and wrap a lulav with that, using a bundle of mitzvos to bundle, that would be a problem. The Gemara didn't need to repeat the word חבילות must be אין מיעוט אחר מיעוט אלא לרבות and the Gemara is teaching you that if you are bundling them many times it is mutar. So if you don't have a basket you are fine because you bundle it several times and the problem is only if you have one basket. In Aramaic the word אין means yes. The PTIJ explanation of this is Yes we make Mitzvas into bundles. What is the traditional Jewish name for this dish? PTIJ: Why do we blow Shofar on Rosh Hashana and use a Lulav on Sukkos?